As the sun rose over Greenwich Park, we could all tell this was going to be a hot one! It was – the hottest so far I think at 24 degrees. But everyone seemed ready. It was time for…the London Marathon 2018! When one gathers together 36000 inspirational runners to complete one of the most iconic races in the world, the logistics need to be perfect. Water, baggage and transport are key. Plus, as we all know, sanitation is vital! Portable Toilets Limited (PTL) have been supplying the London Marathon for over a decade. This year was one of the biggest yet; over 1200 portable toilets, over 120 4 bay urinals, and this year, a significant number of our luxury trailer mounted toilets for their VIP, hospitality and athlete areas. These things do not happen by accident however; moving that amount of kit, equipment and personnel around the country and into busy areas, which are often still open to the public, brings with it specific challenges. The portable toilets alone are over 55 deliveries and 55 collections. This year we were clear of all areas by close of play on the Monday; that’s clear of site in just over 24 hours. Needless to say we are pretty proud of our operations team here at Portable Toilets Limited. Once our staff and kit are on-site and in position, our skilled site management team are onsite from 0500h on Marathon day. As runners begin to stream into their designated start points in Red, Blue and Green, hundreds and hundreds of clean, sanitised and freshly-stocked portable toilets are there to greet them, along with friendly cleaners and stewards to help guide them to portable toilets that are unoccupied. Those in hospitality look forward to one of Portable Toilets Limited’s luxury trailer mounted toilets, this year built into a VIP structure supplied by GL Events. Athletes and guests were delighted by the lavishness and comfort of our luxury range of portable toilets. As regular readers will know, accessibility is key to us here at Portable Toilets Limited and our High Dependency Unit, as well as a fleet of accessible portable toilets, were deployed to meet the requirements of disabled athletes of all abilities. Then, before we knew it, the event had drawn to a close. 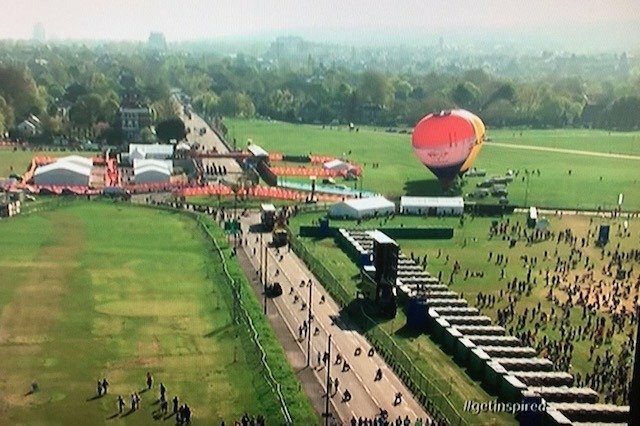 The team at Portable Toilets Limited kicked into a high gear once more, and worked into the night to ensure that the parks, heath and roads surrounding the London Marathon start point were clear and ready for the public once again. Now, a short time to catch our breath, regroup, and then onwards into Gloucestershire for The Mitsubishi Motors Badminton Horse Trials. Well done the runners and well done the #ptlteam. By Greg Kazmierczak | 26th April 2018 | Products, Sporting.